Wow! It looks delicous! I’ve only ever used molasses for gingerbread men and it smelled so strong I didn’t taste it by itself. I do like to eat the raw dough…. You should try it by itself, it’s super healthy. Sometimes we drink warm milk at night that we steeped with cinnamon & vanilla and I’ll add a small spoonful of molasses. It’s full of iron and all kinds of other vitamins, minerals & antioxidants. Yummm… looks & sounds divine!! I love molasses. I dont use it often but I always keep it on hand. I want to try this with sorghum molasses. YUM. Swap out molasses for birch syrup. I make almost the same recipe with our birch syrup & it is delicious! If you haven’t tried birch syrup it has a fruity, citrus molasses flavour. Susy, I have not been able to find organic corn syrup. Where do you get yours? There are also options to buy the bottles in multiples if you’re going to be making a lot of caramel corn. I’m a chemist, and I’ve experimented some with alternate sugar caramels. I bet you could get good results with honey, although it might take some experimentation. Maple syrup is chemically more similar to table sugar, and would likely lead to more crystallization. Alternately, you could try using some brown rice syrup or malt syrup, which would be chemically similar to corn syrup, I think. 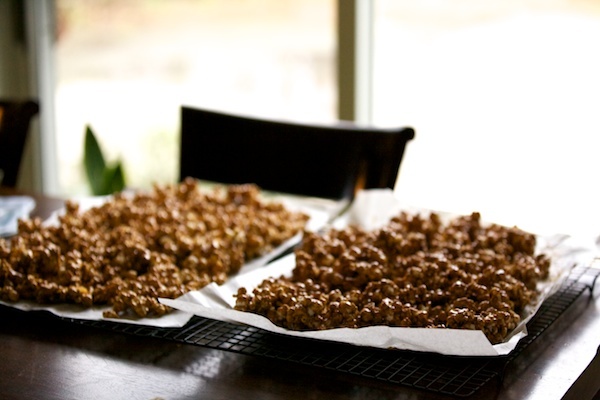 I usually make caramel corn with mostly dextrose (and molasses for flavor), which is definitely prone to crystallization, but it’s not a problem if you eat it promptly! So it depends what you’re looking for. By the way, why do you bake it? Is that a way to avoid standing over the stove stirring the caramel? You should try subbing molasses for the corn syrup too. 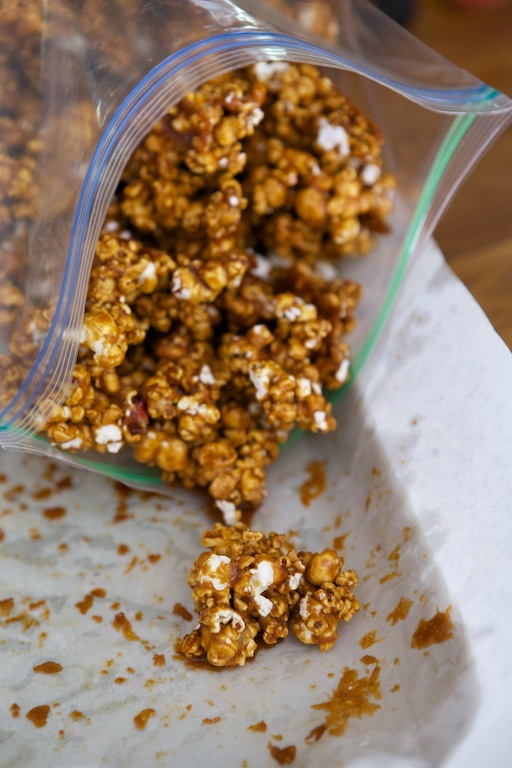 My go-to caramel corn recipe calls for brown sugar and corn syrup, and I have swapped out the corn syrup for molasses completely, with great results. Better tasting, I think, than the original, and much healthier.